Welcome to the Nebraska Governor’s Economic Development Summit. 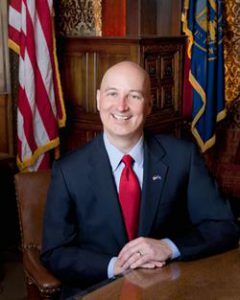 This annual event provides a forum for business leaders, trade practitioners and public leaders to address the unique challenges and opportunities facing Nebraska’s economy. The Summit will feature sessions highlighting Nebraska’s transportation infrastructure, talent development, workforce housing and partnerships for international trade. Attendees will discover exciting new partnerships that build success and maximize assets in collaboration with state government resources to enrich economic development throughout the state. Check In 8:00 a.m. - 9:00 a.m.
Conference 9:00 a.m. - 5:00 p.m.